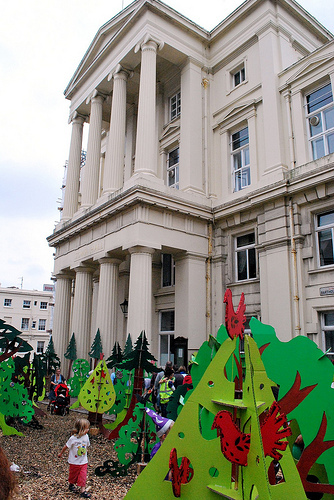 The Enchanted Forest was commissioned by Brighton and Hove Council’s Journey On Campaign for Car Free Day on 20th September 2009. 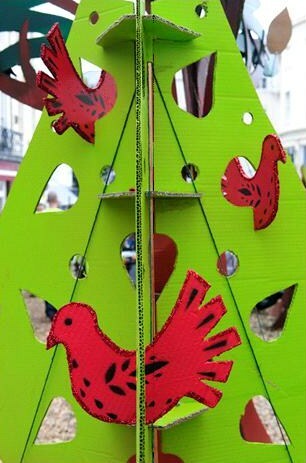 It was an installation of 110 cardboard free standing trees. 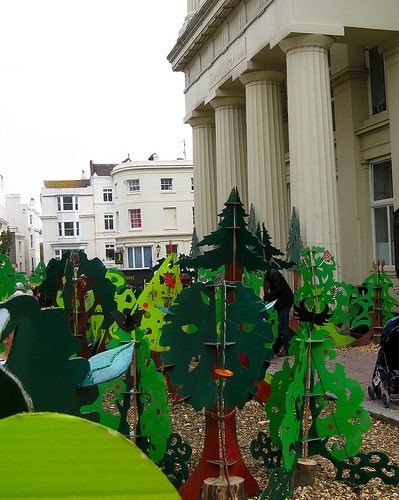 The ‘forest’ stood in the roads of Brighton outside the Town Hall for one day. 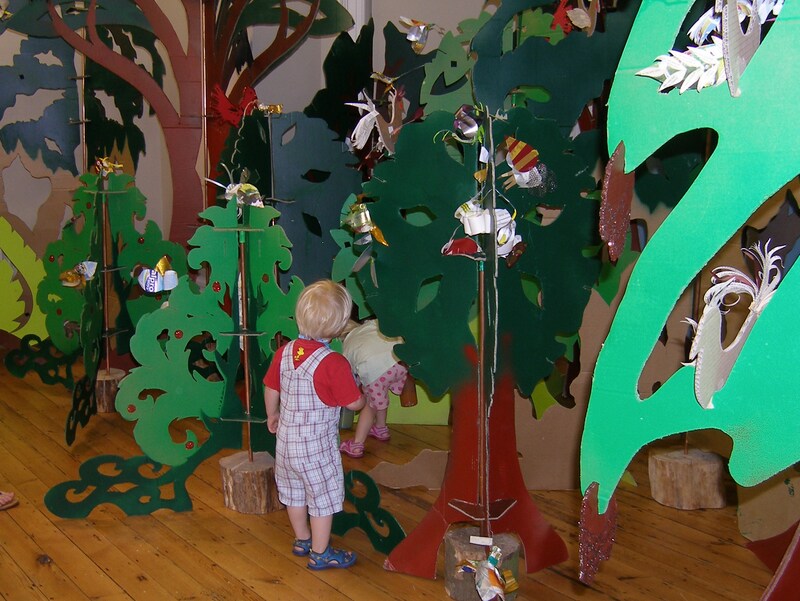 The Enchanted Forest was later hired by Hove Museum. 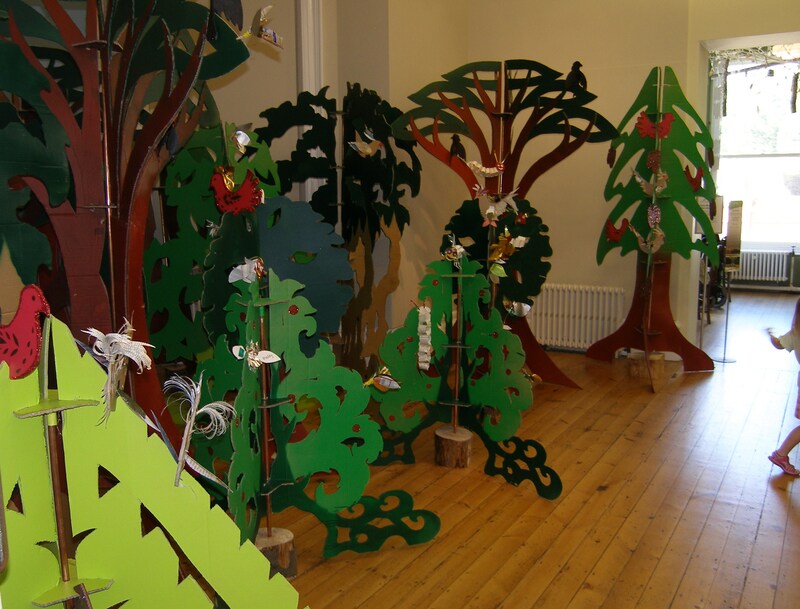 We installed the trees and soundscape for a week during school half term while Jo and Nikki ran workshops for children to make birds, bugs and mushrooms that were sited on the trees and in the forest.